The two primary owners, “G” & “D”, had determined that they desired to cut back on their hours at work and aimed to eventually hand the business over to a strong management team. However, management group members, while strong in their individual disciplines, had not coalesced into a cohesive team and were unprepared to succeed the founders in running the company on a daily basis. The challenge was to help the managers prepare to take over and prepare the owners to begin to step aside. To do so would require innovation in the business model, systems, processes, and offerings of the Firm. In order to introduce innovation, a baseline needed to be established and performance measured. One of the best predictors of decision-making habits among managers is a behavioral assessment that measures one’s Emotional Quotient (EQ). Scheduling mentoring sessions to discuss competencies followed the administration of the EQ assessment. As the management team members began to share not just facts, but heartfelt emotions, dreams, and recommendations, it was necessary to have a process to capture and assimilate all the content. Each mentee meeting, each owner meeting, each team meeting was captured in detailed notes. Additionally, consultative questions in the individual sessions regarding assigned EQ worksheet exercises yielded additional insights. The information was culled weekly for follow-up items on the individual and team level, as well as combed for items to take up within strategy sessions with the owners. A rudimentary knowledge management system was put in place for this purpose. Nearing the six month mark, the group was becoming anxious as to what was to follow. Someone suggested that the EQ mentoring continue at the staff level so that staff members could benefit from the same body of knowledge and practice that the leadership team had. 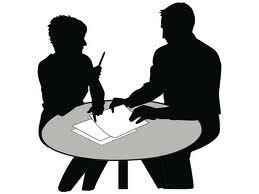 Simultaneously, the owners agreed to undergo EQ mentoring themselves in order to enhance credibility with their key reports. More work needed to be done in terms of clarifying roles and responsibilities, the funding source for the succession plan, selecting a leader from within the management team or from the outside, and insisting that the owners go on record as to what they will hand off when and to whom. However, all were very encouraged at the likelihood of success based on the transformation of the culture experienced during the process.